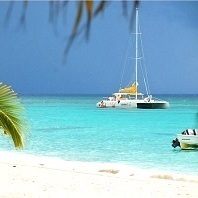 Sublime weather is one of the biggest draws to the beautiful Dominican Republic. In fact, the weather is so nice here, you could say it is one of the biggest tourist attractions in this Caribbean country. 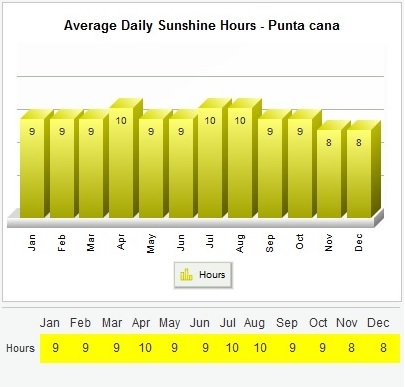 It would be impossible to pick a bad month to visit Punta Cana, as it is warm and tropical year round. Vacationers flock here to bask in the glorious sunshine and to enjoy the extraordinary beaches, which have received top ratings by those who rank beaches internationally. The humidity can be high compared to other parts of the world, but this is balanced by the constant breeze that blows in off the ocean. Punta Cana is a place that truly must be experienced at least once in a lifetime and the weather is a big part of the reason for that. However, while you are enjoying the sun in the Dominican Republic, you should also be careful not to over do it. If you are not used to tropical climates, you may not fully realize the potential effects of too much sun exposure. In fact, the most common health issues for vacationers is sunburn and sunstroke. This is why so many beaches offer covered lounge chairs and outdoor cafes often sport thatched roofs. 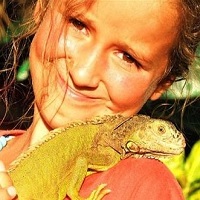 How Does the Weather Affect When You Should Visit Punta Cana? Weather and Climate vary per Region. 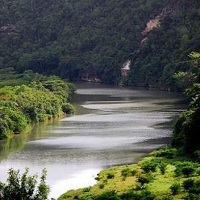 Many people don't realize that the coastal regions of the Dominican Republic vary tremendously in how much rain they recieve, with the southern coast getting far less than the northern coast. 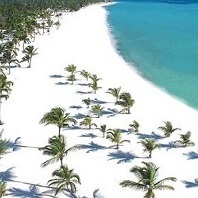 The Dominican Republic is also a country of microclimates, so it can be important to know the weather pattern for the specific places you plan to tour. 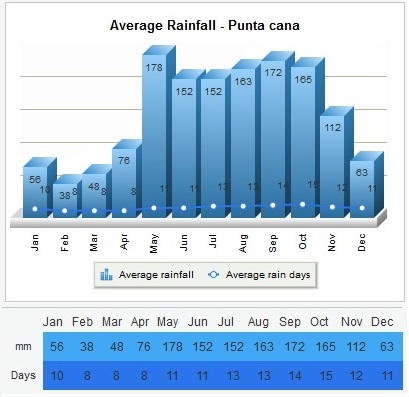 Generally speaking, it rains more during the fall months than at any other time of year in the Dominican Republic, usually peaking in October. There is a smaller peak of rain in the month of May. This trends is true in all coastal regions, but to truly understand the weather here, you need to keep in mind that at any time of the year it is much drier on the south coast than on the north coast. There really is a big variation. This is very general information on the Punta Cana weather. More detailed facts about the weather and rainy season in different regions can be found on each destination page. 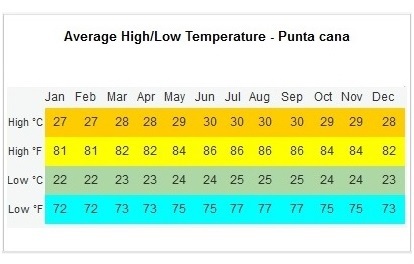 Also, make sure to check the Punta Cana weather forecast before going on vacation to any of those destinations..